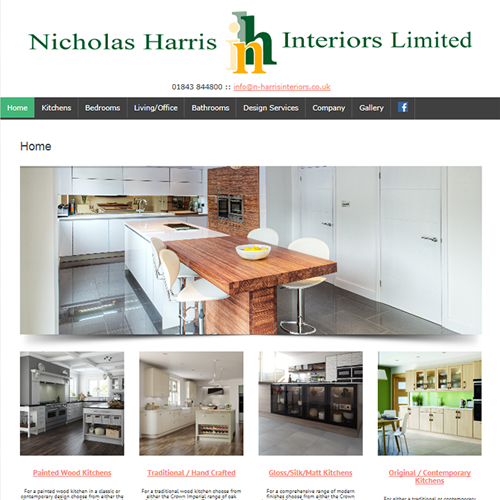 Directors Nick and Wendy Harris requested a mobile friendly design and showcased their increased range of Mereway and Crown kitchen, bedroom and bathroom. Image quality was very good having used a local professional photographer recommended by Oast House Media. The new web pages made an immediate impact on Google and passed the mobile verification test that could penalise search result positions if not complied to.